Cell phone tower battle not over with loss in court. After a 4-1/2 year legal skirmish over the siting of a cell tower in South Peabody, a state Land Court judge has ruled in Verizon Wireless' favor by overturning the City Council's decision. Saying the council's denial for a wireless facility at Michael's Limousine violated the 1996 Telecommunications Act by effectively prohibiting personal wireless services, the judge annulled the council's denial of a special permit and remanded the matter back to the council to grant the permit for the cell tower, and for the city to grant other approvals. The case dates back to Sept. 23, 2014, when Verizon Wireless first appealed the council's denial to build a cell tower at 161 Lynn St. A number of alternatives have been proposed in the meantime, but none proved workable. 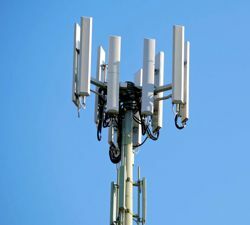 While the city lost in court, City Solicitor Michael Smerczynski said it's unlikely a cell tower would go up in the middle of a residential neighborhood any time soon. That's because Peabody Municipal Light Plant — which is a separate entity from the city — and Verizon Wireless are hammering out an agreement to attach small cell antennas to PMLP utility poles around South Peabody. This would mean the cell tower would no longer be necessary. Verizon's ultimate goal is to fill a gap in cell coverage in South Peabody. The company has proposed replacing an existing wooden utility pole, one that sits 50 feet off the ground adjacent to the limo company building, with a standalone 60-foot steel pole with three antennae, according to court documents. Jon Swanson, who lives at 9 Welcome St., across the street from the limo company, said Verizon Wireless is proposing more than just a steel pole. Verizon, Swanson said, wants to build a compound in the middle of a grassy back portion of the property, complete with a hut, generators, and an 8-foot stockade fence. And all that would be visible out his front door. Smerczynski said the more likely outcome, however, would have Verizon attaching small antenna arrays to power poles, in light of new Federal Communications Commission regulations passed in September to allow for this to happen. The use of about 14 light plant poles would be the speedier option because any appeal of the Land Court's decision could take a year, Smerczynski said. No decision has been made by the city on whether to appeal the judge's ruling, and the city has 30 days to do so from the March 27 decision. "Peabody is still fighting the fight," he said. "I absolutely would like an alternative," said Swanson. The sticking point appears to be the price Verizon would pay to the light plant for the antenna placements, something that could set a precedent for the nationwide roll out of the company's high-speed 5G Ultra Wideband Network. The new 5G network depends on a dense network of small cells, according to the company's website. "We are working on an agreement," said Charles Orphanos, the general manager of PMLP. He said they had a face-to-face meeting with Verizon on March 15 and "nothing appeared to be deal-breaking." Orphanos could not provide details but it could be a matter of weeks before they have a draft agreement. The backdrop to an agreement is that on March 27, Land Court Judge Jennifer Roberts granted Verizon Wireless' renewed motion for summary judgement, a legal move that resulted in a ruling without having to go to trial. Smerczynski said an agreement for the use of the poles is forthcoming. He said engineers for both Verizon and PMLP recently met to hammer out technical details. Verizon said in its court filings that the light plant had proposed it pay a one-time fee of $750,000 for system set up and a year's worth of fees for the pole usage and fiber optic cable, and then reoccurring monthly fees for poles and fiber optic cable. Verizon rejected this "as it was thousands of times higher than the regulated rates established by the FCC for similar attachments to utility poles." This proposal was made before Orphanos became manager in January, and he did not recall any specific numbers. "We are trying to make it reasonable, justified and documented so we can move forward," he said of any agreement. "The mayor, and City Council, especially councilors (Jon) Turco and (Peter) McGinn, have taken great pride in defending the integrity of the character of residential neighborhoods to the extent of exerting abutters’ rights in a half-decade lawsuit against a $130 billion company with an army of lawyers and federal protection," Smerczynski said in an email. He said the City Council will go into a closed-door meeting on April 18 to decide its next steps: A legal appeal or taking up the remand of the special permit denial. "Both avenues involve more time to fully and finally adjudicate the court’s recent decision," Smerczynski said of further legal proceedings. "In the meantime, Verizon and PMLP move closer to a wireless communication pole attachment agreement consistent with the new FCC regulations. An agreement would eliminate the need for the cell tower. Lastly, the city has not incurred any outside or additional expenses in this litigation as all aspects of the two related cases have been handled in-house by the Law Department." The city also faces an appeal by Verizon of a denial for a special permit for a proposed cell tower at the Coolidge Avenue water treatment plant, one of the alternatives that also failed. "I don't think anytime soon we'll see a cell tower at Michael's Limo," said Turco, the council president, who complimented Smerczynski in his effort to go up against the telecom giant. He was hopeful PMLP and Verizon could come to an agreement. "I have heard from constituents," said Turco, who represents Ward 1. He said he would have more information after the April 18 executive session, and then there will be a neighborhood meeting. An attorney for Verizon Wireless referred a reporter to regional communications director and former Salem Mayor Stan Usovicz, who then referred the reporter to spokesperson David Weissman, who could not be reached Wednesday.